This cute and dainty bracelet is the perfect accessory for any outfit along with any Floral Charm Jewellery and floral Olivia Burton Watch. 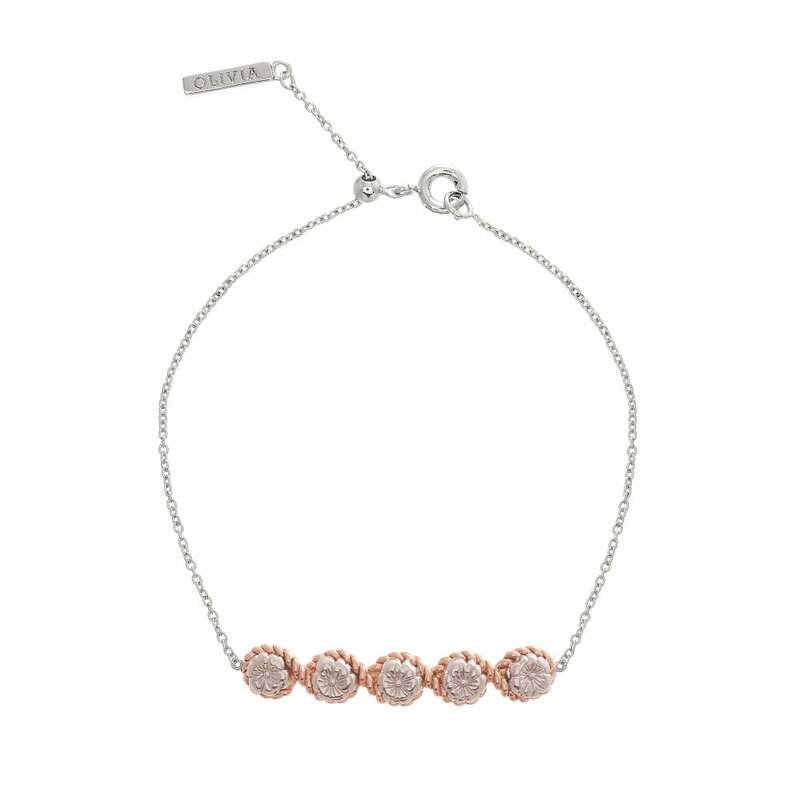 Designed with Silver & 18k rose gold-plated, this bracelet is adjustable with a maximum length of 190mm. Please note Olivia Burton Jewellery does not come with a Warranty.